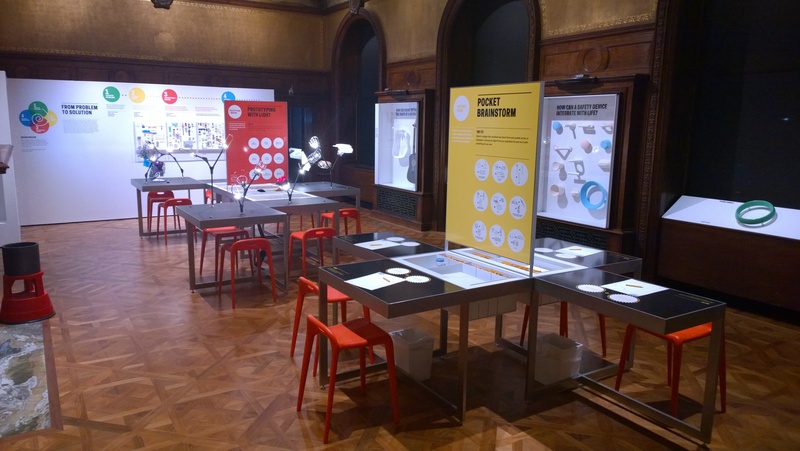 ALCHEMY studio’s vision for the Process Lab at the re-vamped Cooper Hewitt has drawn attention and sparked praise from publications such as Fast Company and others. Our team is proud to have been part of the creative team behind the renovated and revitalized Smithsonian Design Museum. 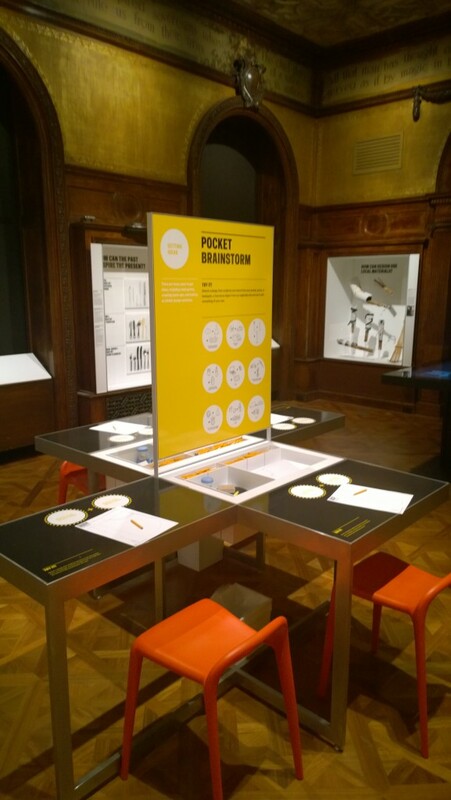 ALCHEMY studio was hired to work with the staff of the Cooper Hewitt to develop and prototype the experiences in the Process Lab and test how these would work within both the operating parameters of the museum and the overall design architecture. Activities found in the Process Lab were developed from a series of workshops with staff followed by prototyping with potential visitors. Activities were developed for both physical interactives as well as media platforms. The Process Lab places visitors in the role of designer by inviting them into the design process itself: observing and identifying design challenges; brainstorming creative solutions; making models and prototypes; and testing new ideas. Activities include a central collaborative “lightscape” that lets visitors create shape, shadow, and color effects. Visitors also have the chance to create a design mash-up: making up a new product by combining two items from their bags – or by including a random oject. 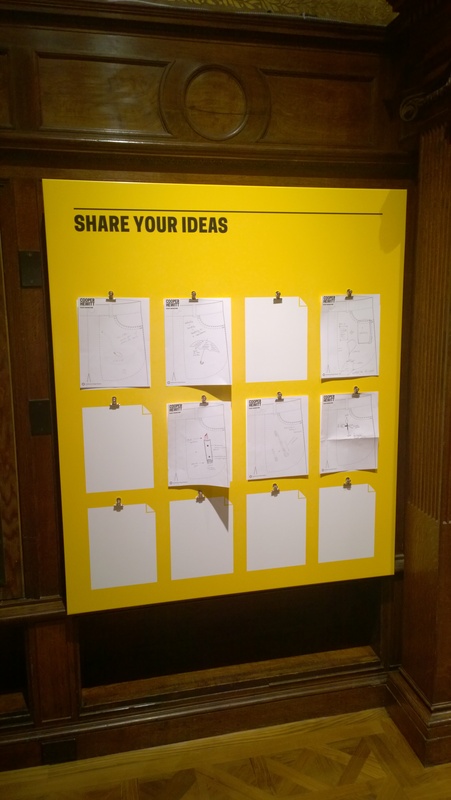 Visitors also improve existing designs, comment on others’ design choices, and add to a design talkback board. 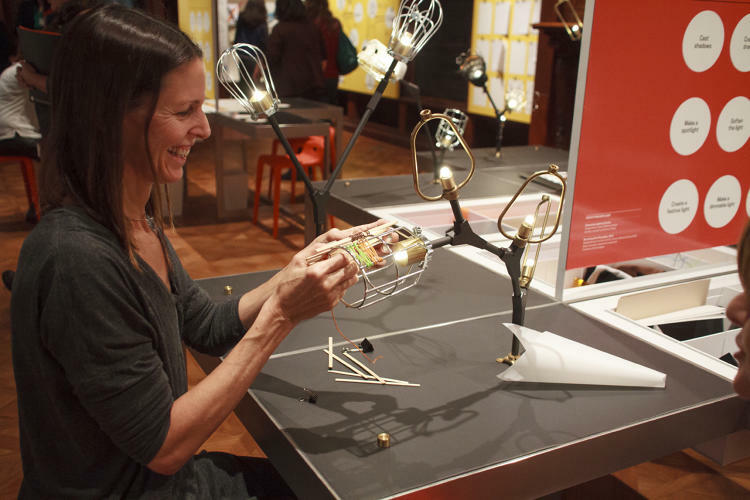 The Process Lab has been drawing attention and praise for the creative, open-ended ways it invites visitors to take on the role of designer, engage with collections objects, and spiral through the design process itself. Great work you guys. 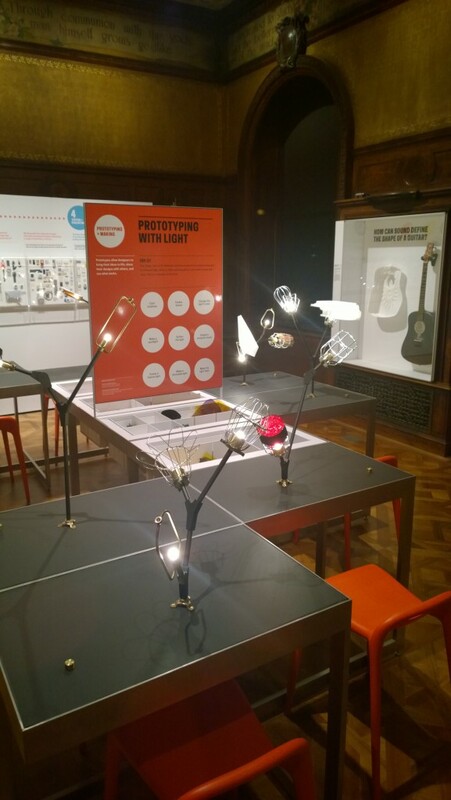 I am excited to see all the new exhibits up at the Cooper Hewitt and look forward to trying out your lab. No doubt! Nice work Alchemy! Another great Alchemy Studio exhibit. Congrats! Good topic – nicely done – I like it. Sounds fantastic, and a must-do trip for hands-on museum visitors. Love it.